Distinguishing Characteristics: White male. White hair, brown eyes. Clothing/Jewelry Description: An aqua-colored sweatshirt, khaki shorts, maroon socks, hiking boots and a Medic Alert bracelet. Medical Conditions: Ward was diagnosed with Alzheimer's Disease five years prior to his disappearance. 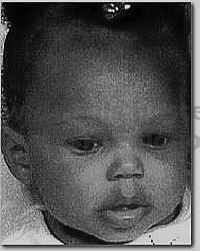 Ward was last seen in Chatsworth, California on August 30, 1994. He left his home intent on walking to a sporting goods store a few miles away and has never been heard from again. It is believed that Ward got lost trying to return home. He is described as an avid hiker who can walk up to 25 miles in a single day. He had disappeared once before and authorities found him twenty miles from home. A few days after Ward's disappearance, there was a possible sighting of him in Brown's Canyon, where he often hiked. He may have been sighted outside a natural foods store in Canoga Park, California on September 25; the witness him knew Ward but didn't realize he was listed as a missing person. An extensive search turned up no signs of him and his case is unsolved.